Anew qualifying format will be a major feature of Round Two of the Auto One V8Ute Racing Series – protected by ARMOR ALL – at the Chill Perth 360 at BarbagalloRaceway on May 3-5. Thenew format, similar to the qualifying system used in Formula One, features a30 minute session broken up into three individual segments. QualifyingOne will include all 32 V8 Utes and after 10 minutes, the top 20 fastestdrivers will continue into Qualifying Two, for a shorter seven minute session. Thetop 10 drivers from this session will then start Qualifying Three, a short fiveminute session allowing for a one or two lap shootout. The fastest lap timeswill then determine the top 10 grid for the start of Race One, with the balanceof the grid filled as they drop off in lap time from each segment. Kim“The Assassin” Jane will return to the field after a rebuild on the Bob JaneT-Mart Holden, the result of an incident in Race One at the Clipsal 500. TheBarbagallo round defender and current lap record holder is looking forward toreclaiming the ARMOR ALL Pole Award in its new format. “Perth’sa track that is unbelievably hard on tyres, it’s an abrasive track,” Jane said. “Wehope the ute is on the pace and can progress into Qualifying Three withouttearing up the tyres. A lot will be tactical; the fewer laps you can do inQualifying, the better your tyres will be for racing. Currentleader of the ENZED Drivers Championship Nathan Pretty claimed third overalllast year behind 2012 series Champion Ryal Harris in second. Prettysits on 133 points, only 19 points ahead of Jesus Racing’s Andrew Fisher insecond and local Rhys McNally on 113 points in third. AlongsideMcNally will be seven other local drivers competing at the event, includingRichard Bloomfield, Rhett Noonan, Matt Nolan, and the return of Glenn McNallyand Allan Letcher. Letcher madetelevision and V8 Ute history with his infamous seven-time rollover through The Chase at the 2009 Bathurst 1000. Also joining the field for hisdebut is former Stealth Formula Ford driver Peter Major. PerthAuto One Star Adam Marjoram will sport a brand new livery at the event, and islooking forward to taking to his home track for the second time in a V8 Ute(his first was last year in the Auto One Wildcard Entry). “We’vecompletely changed the look of the car, and added our latest partner Nova FM," 19-year old rookie Marjoram said. 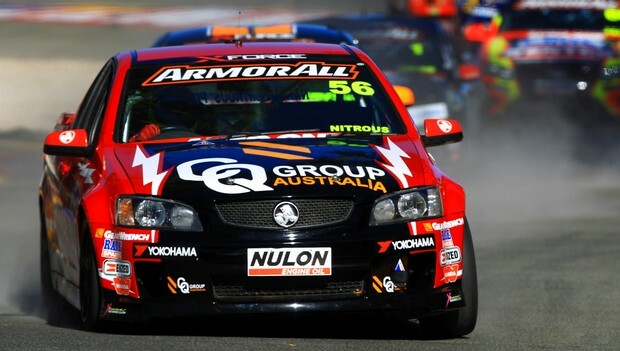 TheV8 Utes will hit the track on Friday May 3 for two Practice sessions and thenew Qualifying format; Race 3 will be televised live on Sunday May 5 as part ofthe coverage on Network Seven.